Enter into a world like you've never seen before! Earth, Air, Water, Fire, Metal, Wood, Spirit are elements of an incredible power, a power that if you understand you can use to your advantage! The essences of the elements have been separated and long forgotten into a Blue Cave, for if they are brought together they have the power to create but also to destroy the Universe. Too much time has passed, and the Balance of the Universe is in danger, the elements must be brought back together! Elements are everywhere. Do you understand their power? Their Magic? Many will try, few will succeed, for only the Chosen ones - pure souls, can control the power of the reunited Elements. Are you one of the Chosen? 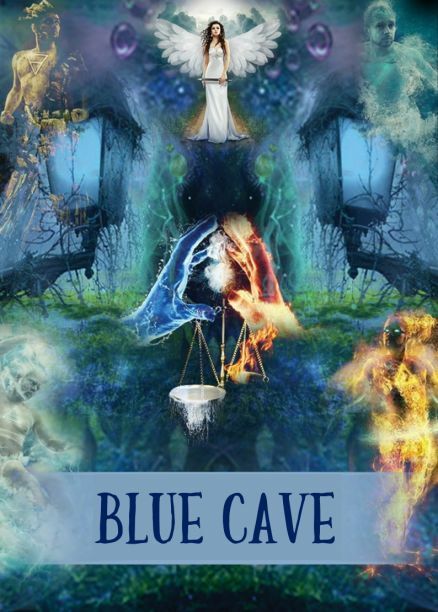 You find yourselves captives in the Blue Cave, a magical world that has enchanted you. But remember that you have one goal: find all 7 Elements, use their powers to free yourself and bring back the balance into the world! Each decision could take you one step closer to achieving the balance, or it could take you to the point where you will not find the way back. You will escape from reality. The Blue Cave will charm you. Enter the magical world, use your senses, face the mystery, and the power of the elements will illuminate your path. Find the clues. Decipher the secret. The final challenge is here!